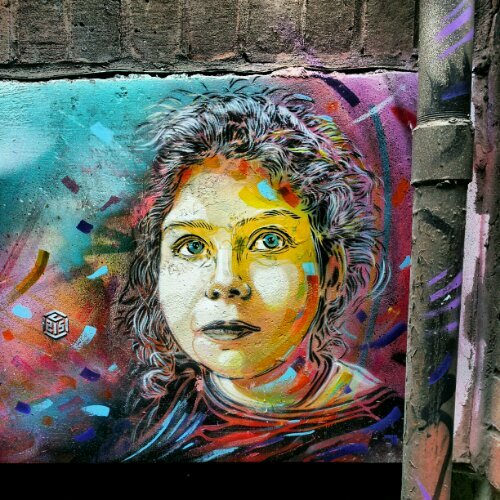 It was an act of pure vandalism when, not even one week after appearing, new artwork from French artist Christian Guemy got callously scarred. 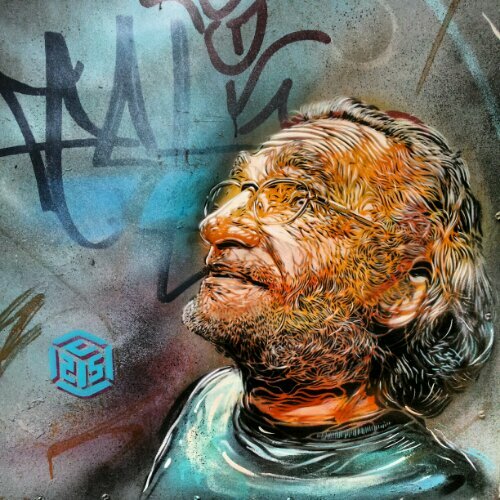 Guemy, better known as C215, is a regular on the London art scene and makes regular trips over the channel to paint portrait art in the East End. 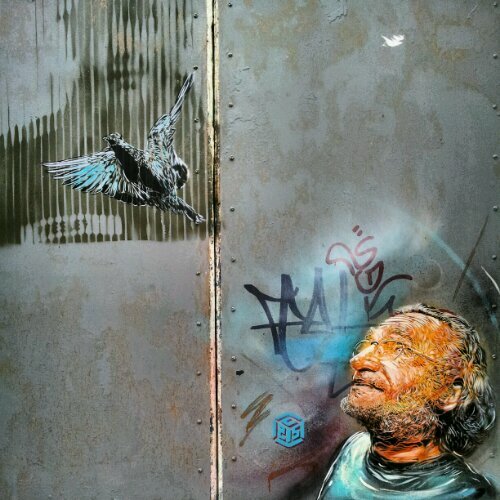 Using stencils, the work is always intricate and full of detail capturing the emotion of his subjects. 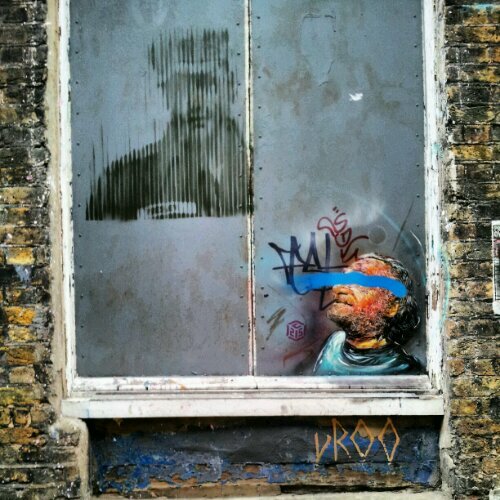 His work can be seen around the Brick Lane and Shoreditch area and it won’t take long to spot one, usually nestling in a doorway. 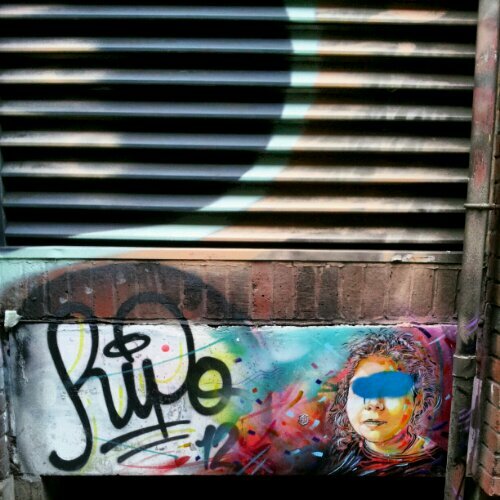 Such is the quality of his work and the esteem in which it is held it was therefore baffling when several pieces were daubed with bright blue paint across the eyes of the portrait. It was pure, illogical and wanton malicious damage. 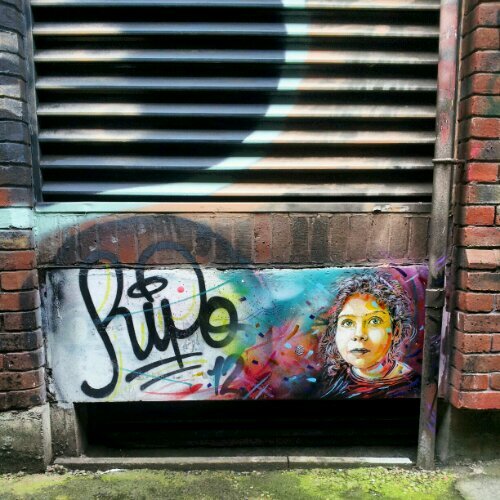 Thankfully it would seem that C215 has been back and restored some of the work even adding a few new touches along the way. Well all this inspires me to stay as far away from London as possible. Spare the coach fare to John O’Groats anybody ??? I can’t understand this kind of vandalism. If people don’t like art, they should simply ignore it, instead of going out of their way to destroy it.